Tour de France organisers ASO have released details of the 2009 Grand Départ of their race, which takes place in Monaco. 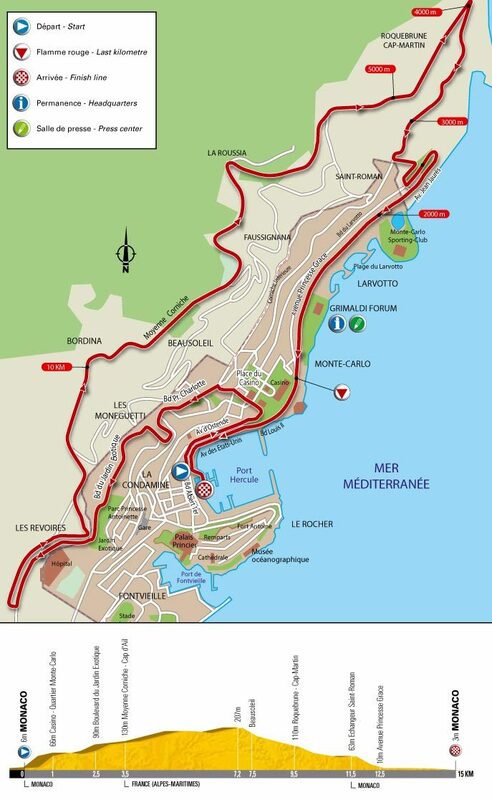 The principality will host a rolling 15-kilometre time-trial, based partly on the Formula One Grand Prix circuit. The next day, the Tour de France will head out of Monaco. Traditionally, the first day of the Tour de France has seen a Prologue, or short time trial. But since Christian Prudhomme took over the race director?s post in 2007, the Tour has been experimenting with different formats. The 2008 race will start with a road stage for the first time since 1966. And although there have been longer time trials on the first day, notably in 2000 and 2005, the Monaco test is significantly more complicated. The route includes a 200-metre climb, and several hairpin bends. The Prologue will start in front of Monaco?s famous Port Hercule, on Boulevard Albert 1. The riders will hit a seven kilometre climb, including stretches of 10 per cent, then descend all the way to a series of hairpin bends, and the final stretch along the sea front. ?The stage will be a sporting challenge with physical and technical virtues which reflect the landscape,? said Prudhomme. ?The Tour has set off from the south east of France only once, in 1981,? he continued. ?Along with a truly memorable visit to London and a route through Brittany next summer, the start in Monaco reflects the powerful influence of a monument of sport.? Prudhomme also revealed that several candidates for future Grand Départs had made recent bids. Qatar has submitted an official application to host the race, while Scotland and Japan have both indicated an interest in hosting the first weekend of the Tour. ?This reflects the Tour?s extraordinary magic,? commented Prudhomme.